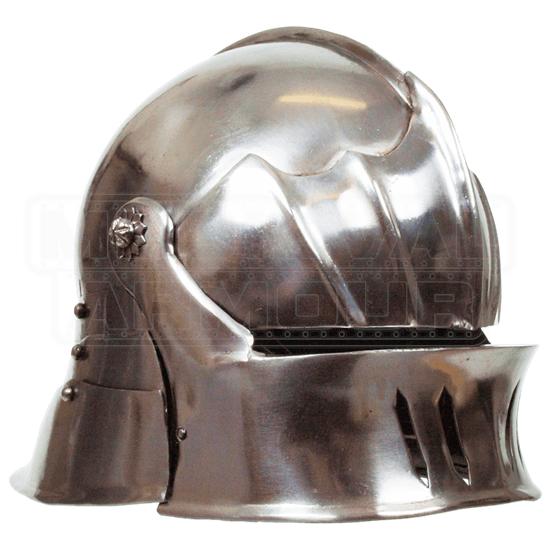 Create a suit of armour befitting a German knight from the 15th century by including the Gothic Sallet Helmet. The descendent of the Italian bascinet, this war helmet became the preferred choice of armour for over a hundred years. 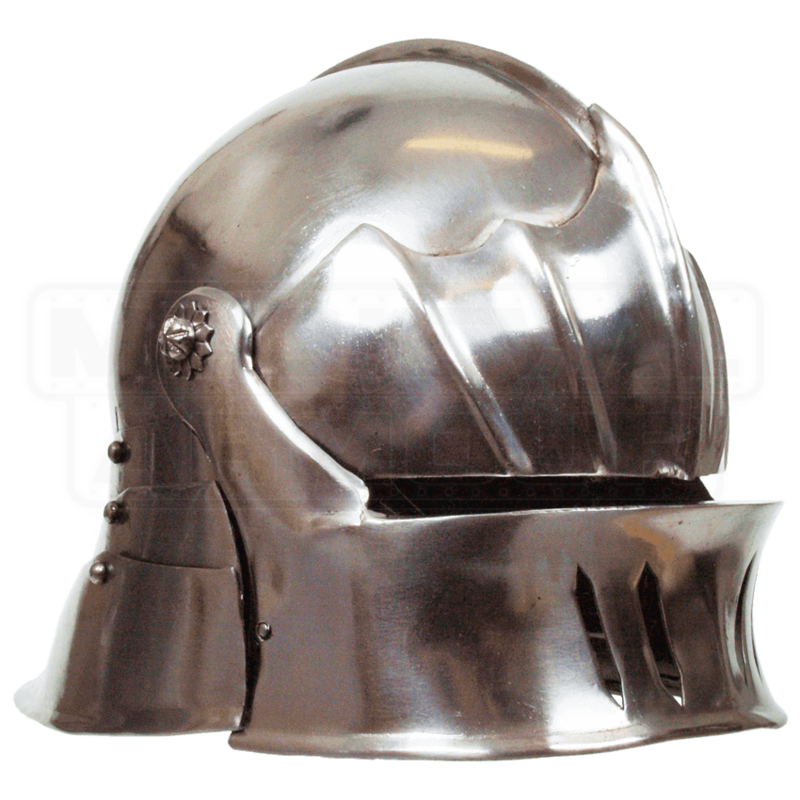 Inspired by the classic gothic style, the sallet features fluting and ridge work that enhances the look and strength of the armour. A rounded top with raised centerline further increases the defensive power. The bellows visor swivels up and down for easy adjustment, and possesses cutouts for ventilation. Metal lames form a lobster neck-plate in the back. Foam padding lines the interior, while an adjustable buckle strap secures the helmet at the chin. A polished steel finish creates the knight in shining armour look. A great price for a great helm. Comfortable right out of the box (after wiping off the oil). I gave it 4 stars on quality because the rivets are not of the best caliber, but a little work on my part and it finished up beautifully.